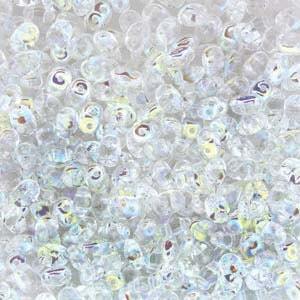 2.5x5mm Crystal AB two hole Czech pressed glass super duo seed beads. Great AB beads as they pick up the light with their flashes of color. Thank you. Always love your beads!!! Thank you!